Home 3D Printing STEM Fair Day in the School Fab Lab at Fontbonne Hall Academy was Bustling! The STEM Fair Day at the new School Fab Lab / Makerspace at Fontbonne Hall Academy in Brooklyn had the students bustling this fall. 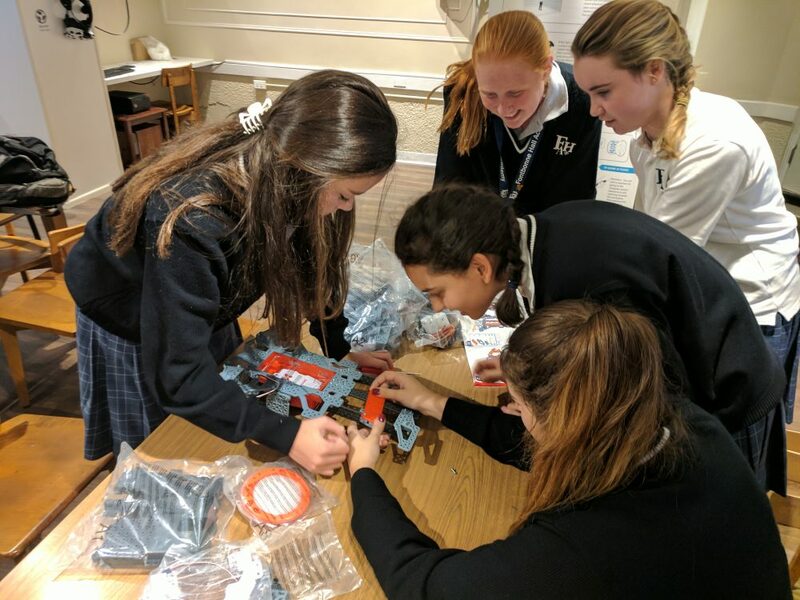 Of course, the students are in high school to learn, but a big advantage of having the School Fab Lab at their school is that the various Stations create an atmosphere of fun and exploration, keeping them interested in the topics of the curriculum. 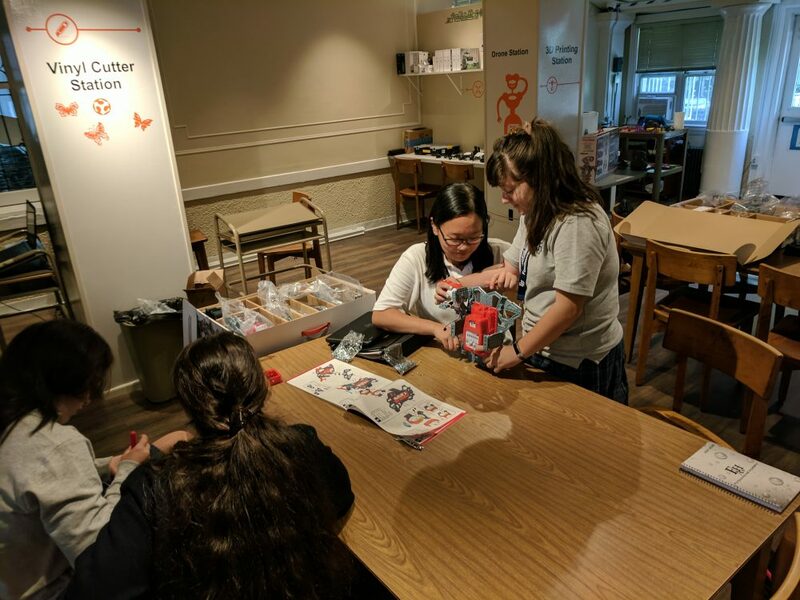 The activities took place in the library that was converted into the School Fab Lab / Makerspace seen here in this video. At the Robotics Station, they built a cute robot capable of assimilating Artificial Intelligence. Drones were programmed to fly through hoops. Among other items, a small Groot doll was created on the 3D Printer. Orange butterflies rolled out of the Vinyl Cutter. 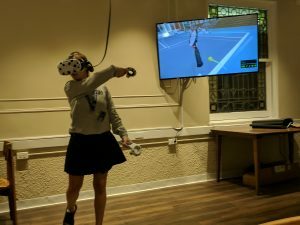 The Virtual Reality Station allowed a student to play a virtual game of tennis. 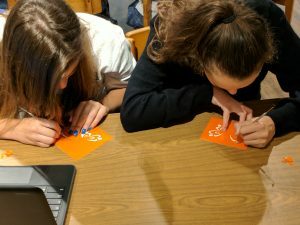 The seemingly simple results of the various Stations keep the student engaged long enough to learn advanced elements of a STEM education – science, technology, engineering, and math. Adding art, it becomes STEAM. 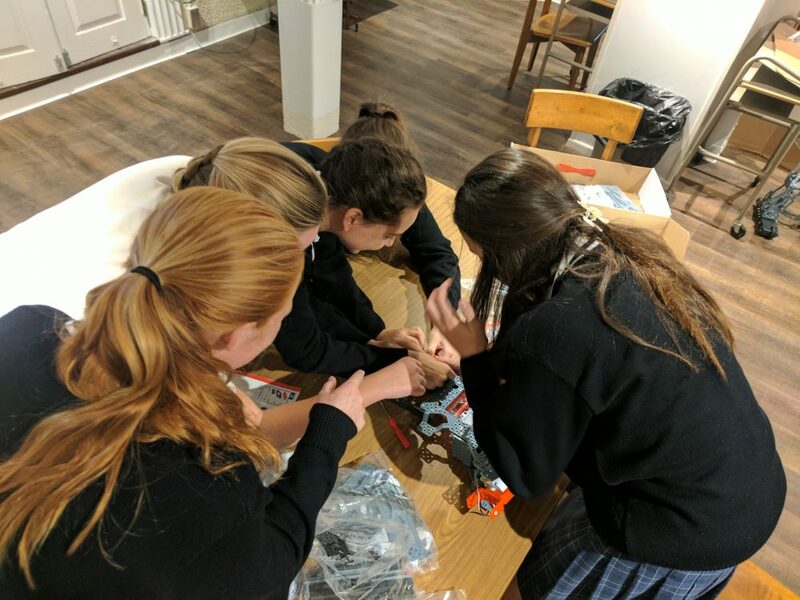 Collaboration among the young ladies at Fontbonne Hall Academy was evident as they huddled around hands-on projects, each hoping to contribute a factor that will solve problems, such as how to best build that robot. Then challenging the brain by programming the robot to move and function. If one student is stuck on finding a solution, the collaboration of minds and hands could allow another student to come through with the answer. Success is shared.